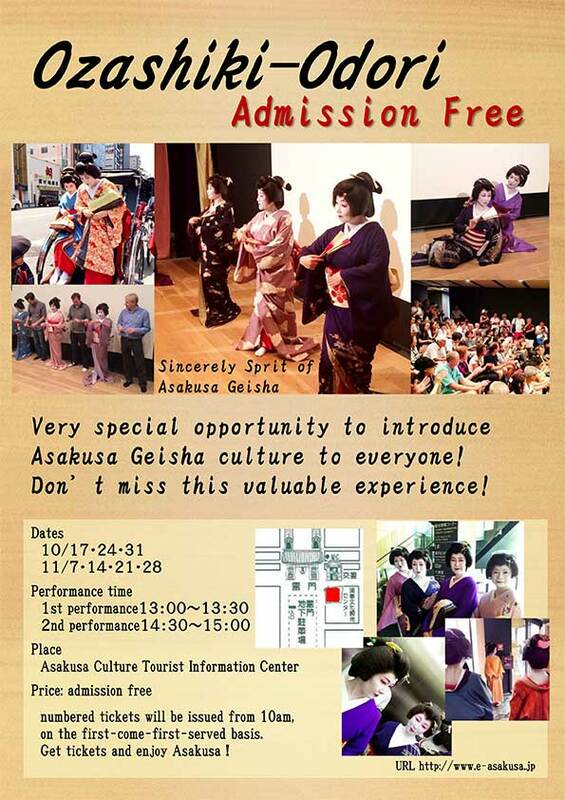 Asakusa geisha gave free performances for tourists at the Asakusa Culture Tourist Information Center on Saturdays from mid-Oct. to late Nov. 2015. The show I saw in this video featured 92-year-old Yuko, Tokyo’s oldest geisha still going strong. Two shows on each Saturday at 1 pm and 2:30 pm. Free tickets are distributed on the day of the performance in the lobby of the Asakusa Culture Tourist Information Center from 10 am. They perform in spring and autumn.